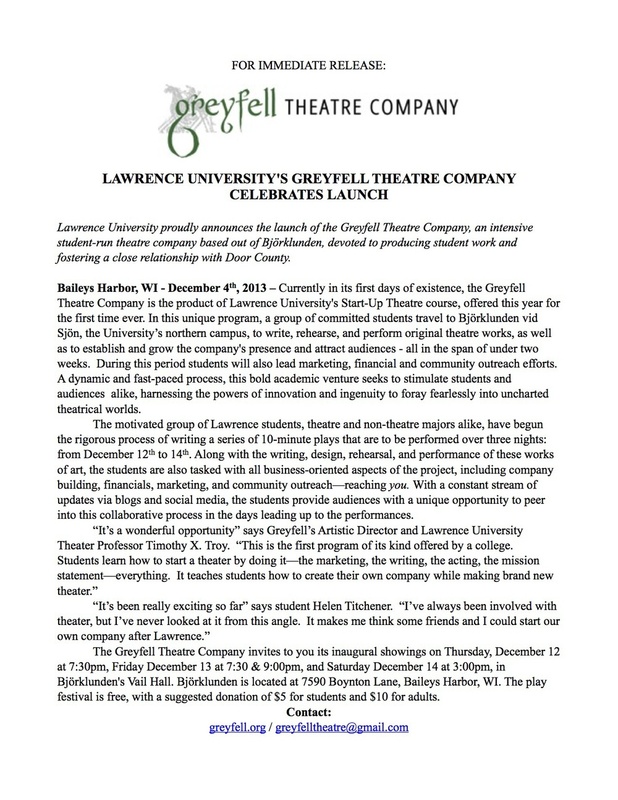 We're featured on the Green Bay Press Gazette's website! 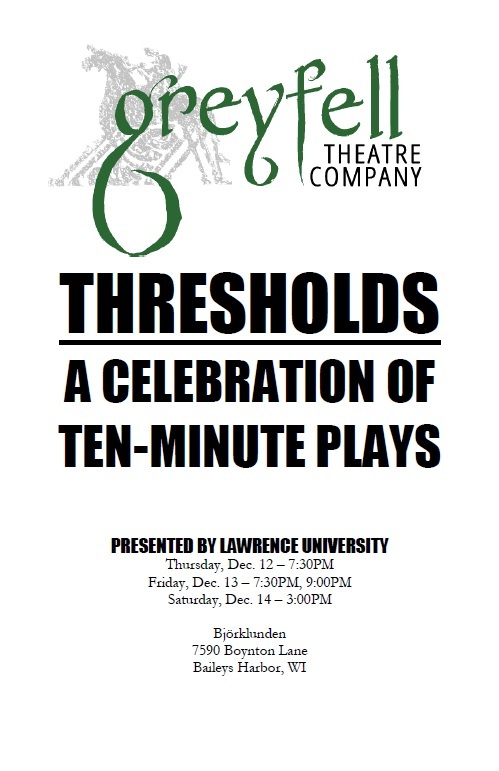 Lawrence University's Greyfell Theatre Company Unveils 10-Minute Play Festival in Door County Today. Check out our press release in Door County Today!! We were mentioned in Appleton Post Crescent!